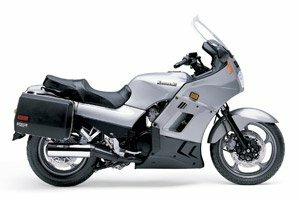 When it comes to affordable sport-touring, it doesn’t get much better than the Kawasaki Concours motorcycle. Indeed, the bike is equipped with a sportbike-style fairing that offers ample wind protection, hard saddlebags for loads of carrying capacity, and there’s the added benefit of the Concours’ power and handling ability that are on par with the NINJA® sportbikes. With an inexpensive price tag, the Kawasaki Concours is equally ideal for long-distance adventure and daily commuting alike.